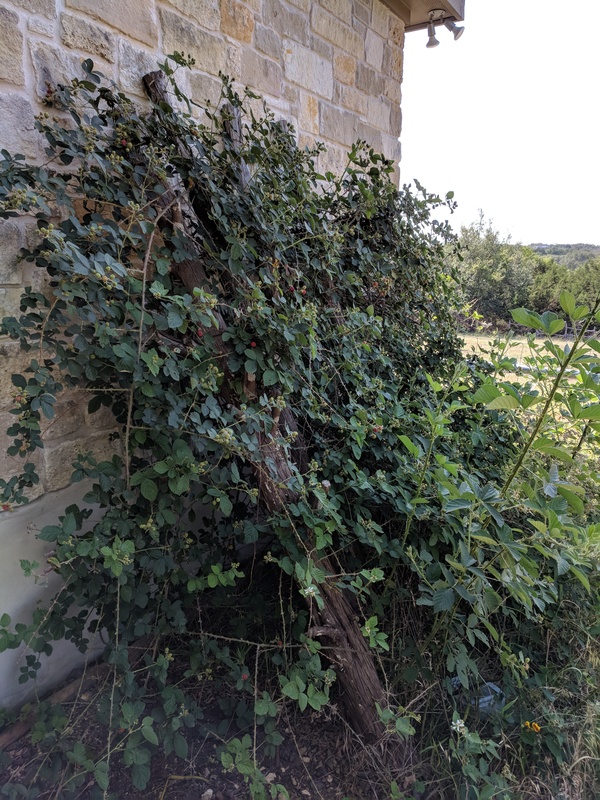 When you buy blackberry plants, they come in what’s called “bare root” form — that means each plant is basically a root and a tiny stem, maybe 2 or 3 inches long. Or at least that’s what mine looked like. They were kind of pathetic. And they didn’t graduate to being much more than that for many years. Poking around yesterday and bringing in the beginnings of our harvest, I made a few interesting discoveries. 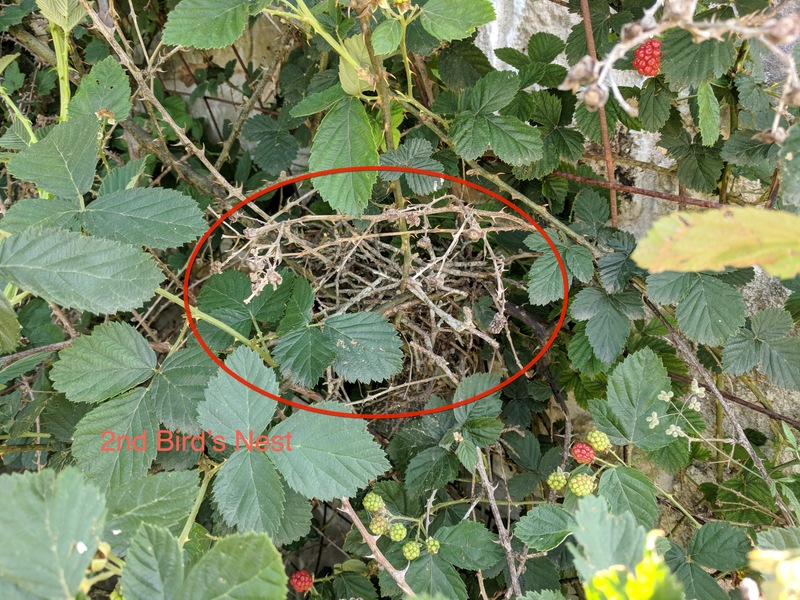 First, I found a bird’s nest, made mostly of straw, tucked away neatly within the barbed vines. And then, another bird’s nest — this one made from sticks. 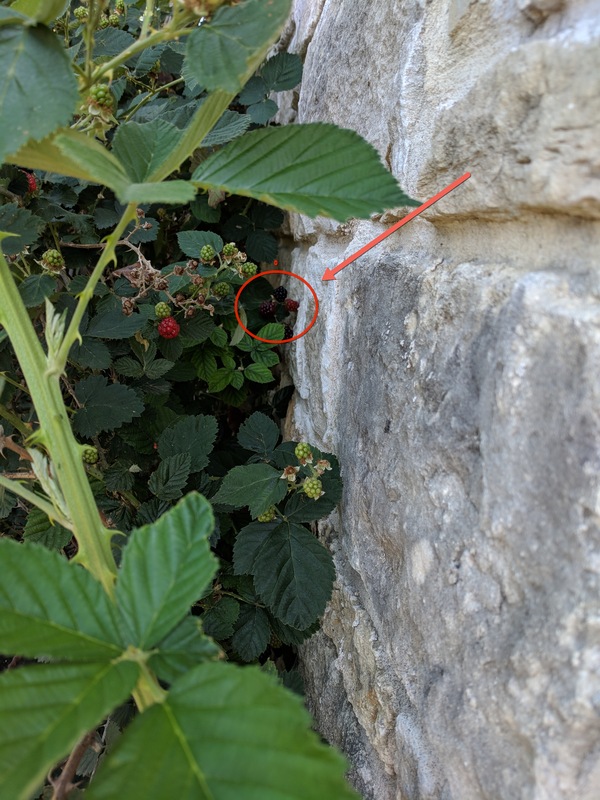 In all of these pictures you’ve seen lots of green and red berries, but where are the black ones? Oh, you have to look around and, inevitably, they’ll be hiding JUST out of reach. 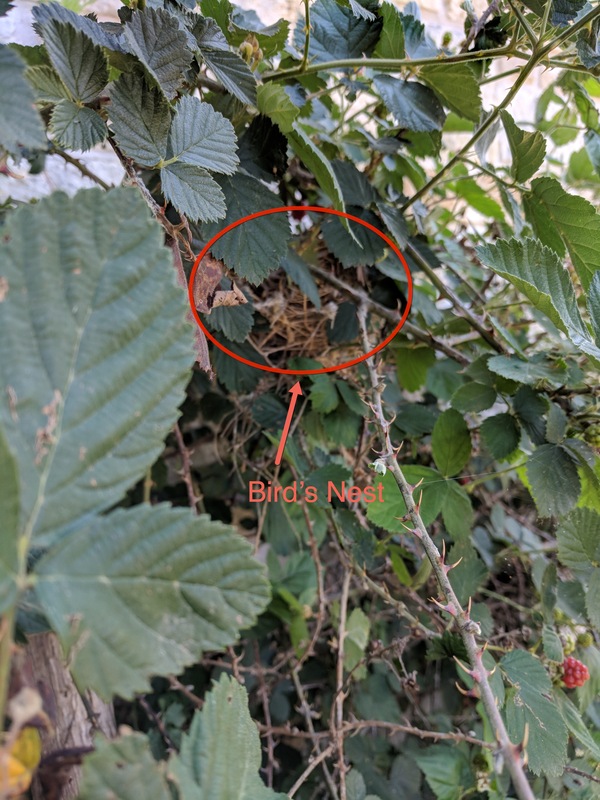 I decided to leave those to the birds. 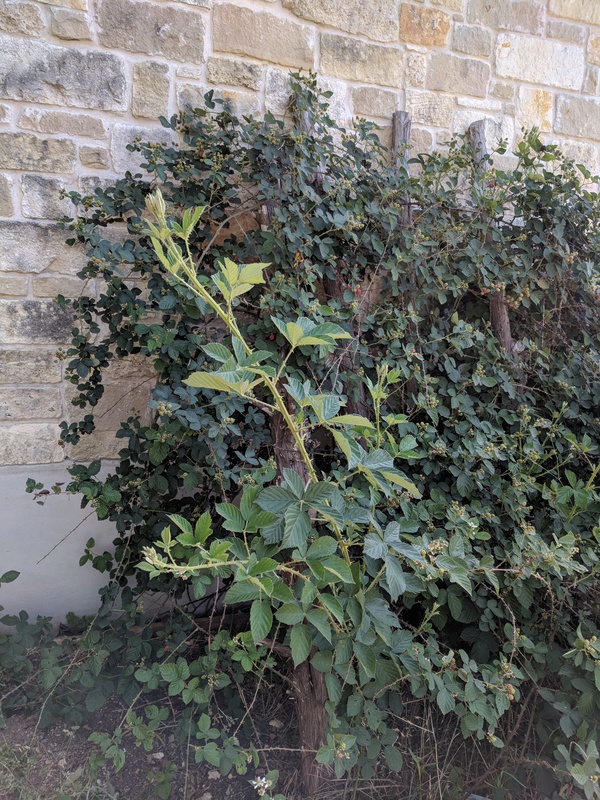 But I was able to pluck a few — standing on a chair, carefully weaving my arm through the vines, and getting caught on the briars all the same. Then, just as I’d think I’d gotten them all, I’d spot another juicy-looking specimen behind a leaf. That, of course, made me wonder how many others I was missing, so I’d peer at them some more, taking new vantage points in hopes of a ripe one catching my eye. 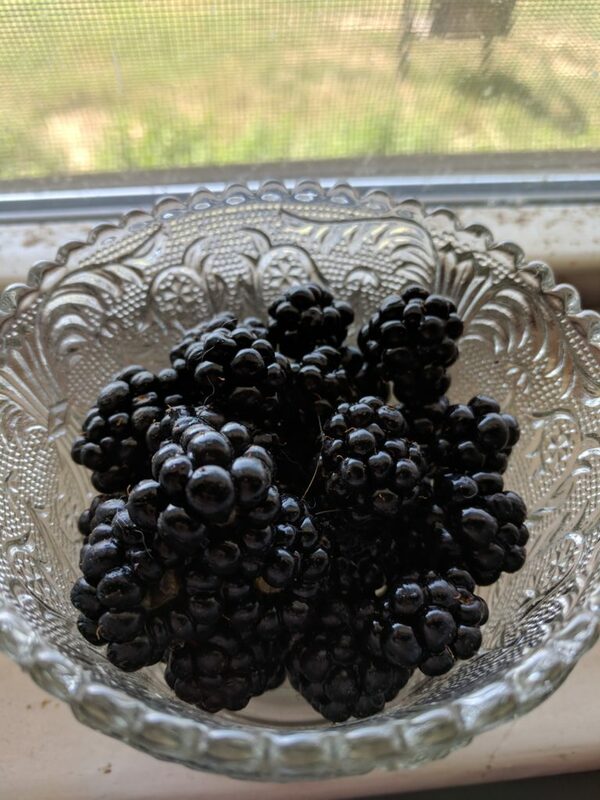 I remember having adventures like this with my grandmother in East Texas, where we’d go off picking wild dewberries and bringing them back (whatever was left, anyway) for a dewberry cobbler. That’s why I planted these — wanting to have my own little surprise moments of discovery. 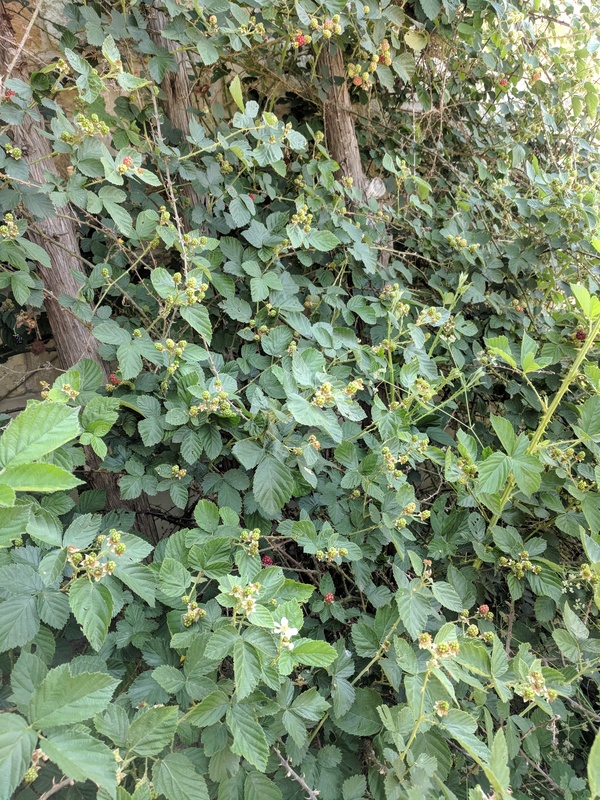 And the blackberries seem to thrive in the heat of our summers. Previous Post: « Still here. Really I am. June 2018 edition.